If you asked me, Crochet amigurumi toys are the best play items you can get your kids. The crochet pirate ship is on a whole new exciting level. Admit it; your face lights up at the mention of Jack Sparrow, Captain Barbosa, Blackbeard, Will Turner, Davy Jones and more legendary albeit fictional pirates. My guess is, your little ones run wild with stories and adventures of marauding pirates and tales of their exploits on the high seas. Every great pirate needs a ship. And so does your little man. Want to make your little boy’s day? Indulge him a little in a bit of pirate play. 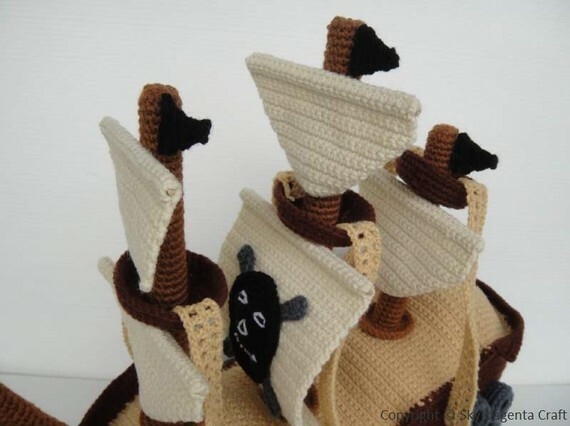 This crochet pirate ship is a perfect way to do it! Spark some imagination and creativity in your home with this amigurumi toy. Can you imagine all the fun your kids will have when playing with this crochet pirate ship? Think of all the adventures sailing the seven seas, discovering uncharted islands and the best part, the doubloons, treasure, me hearties! Avast, ye mateys, let’s take a look at the materials you will need to pull this off. The finished crochet pirate ship is 30centimeters or 11.8 inches long. The basic skill level required to execute this charming little pirate ship is intermediate. 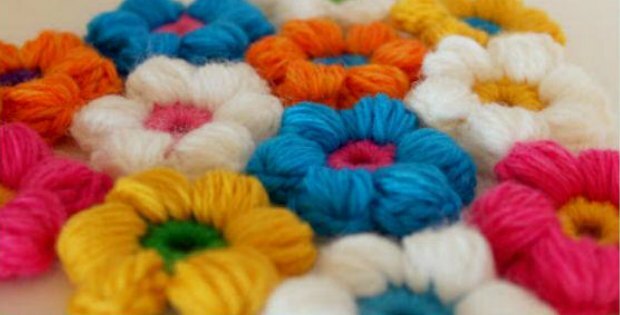 It is necessary that you have a strong understanding of crochet terms abbreviations and be able to follow the instructions. The pattern is patented and can be purchased then downloaded in PDF format alongside accompanying detailed instructions. 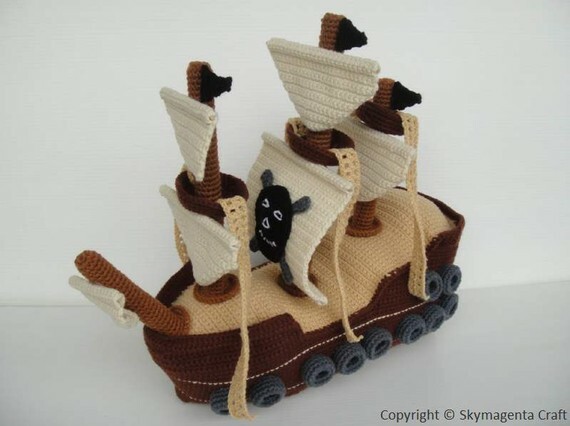 The crochet pirate ship amigurumi toy’s instructions are written in simple American English using standard U.S crocheting terms and abbreviations. A knowledge of the art and craft would be an added advantage considering the pirate ship does have a cardboard skeleton. What Color Will Your Ship Be? Concerning the choice of colors, that’ll be entirely up to you. It is however recommended to use darker shades such as brown, grey and black. Pirates are after all not the most colorful bunch. Makes sure to include the classic skull and crossbones pattern on the finished crochet pirate ship’s sails for the purpose of authentic appeal. We do not want your little budding pirate to be confused for a seafaring merchant, no sir. 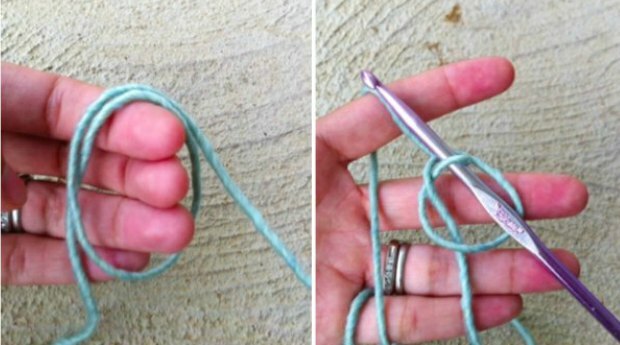 You can settle on any type of weighted yarn while making sure you avoid lace weight yarn when creating this crochet pirate ship or any amigurumi toy in that case. Lace weight yarn is only good for elegant shawls and the likes but doesn’t drape well for amigurumi toys that require keeping their shapes. Pirates have such an appeal to both adults and children alike. That would explain why the Pirates of the Caribbean franchise is among the highest grossing Box office movies of all time. If you have watched any of these pirate flicks, you might have noticed that the pirate ships are quite a big deal. From the Flying Dutchman to Captain Salazar’s Silent Mary, the Black Pearl and the Dying Gull among others, there is a certain emphasis on the importance of a pirate having his own ship. Let’s face it; plastic toys are not an option here. Why not create this lovely amigurumi pirate ship for your little pirates and make their day? I created one of this stunning pieces, and it turned out to be the gateway to even more fun. We (my kids and I) ended up playing dress up as pirates and learning the pirate lingo. I cannot begin to explain how much fun the entire experience was. Shiver me timbers! It was one for the pirate ledgers. There’s nothing I love more than seeing my kids happy and full of life. 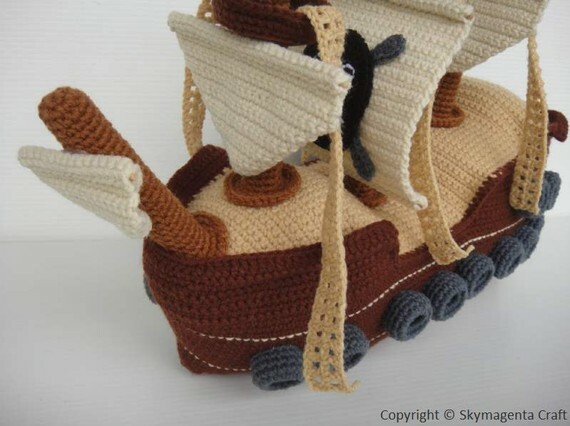 I have taken on numerous amigurumi projects in the past, but none can rival this crochet pirate ship project. Know what would be fun? A handful of amigurumi pirate ships. Having our own fleet, nothing would beat that. I have contemplated creating a handful of these ships to give the kids more variety. 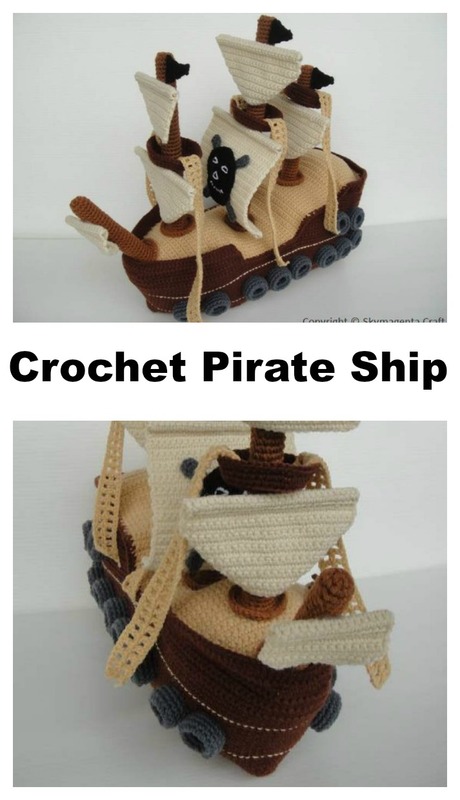 Just think of all the names your kids could come up with for each of the pirate ships you crochet. I’m shaking with excitement just imagining it. Bring some pirate charm into your home today, try the pirate ship amigurumi project. 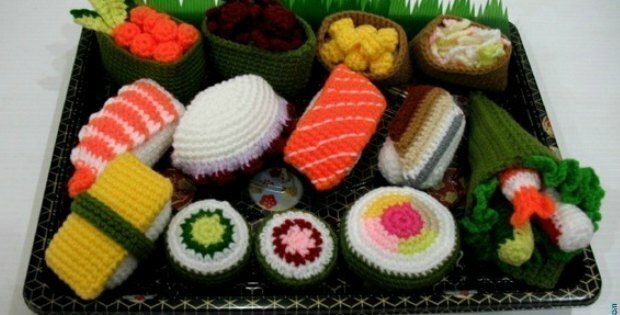 You can access this wonderful pattern through the link below and start sailing the wild waves of crochet.